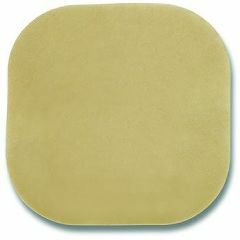 Flextend Skin Barrier - 4 x 4"
Flextend Skin Barrier - 4" x 4"
Flextend Skin Barrier is a non-sterile extended wear, synthetic skin barrier, which is designed to be resistant to discharge. Enhances skin care technology through a special formulation of cross-linked molecules that absorbs and holds fluids. The durability is achieved by its unique cross-linking giving the skin barrier superior resistance to erosion. The extended wear time over days translates into superior value. Withstands sweat and . water sports. I cut these 4x4 wafers into 4 smaller 2x2 squares to save $$. With 2 layers of latex cement (1 above, 1 below the wafer) I get mega wear times through all types of activities... even long scuba dives.